Iconikal - Screw-on lids hold hot liquids in place. 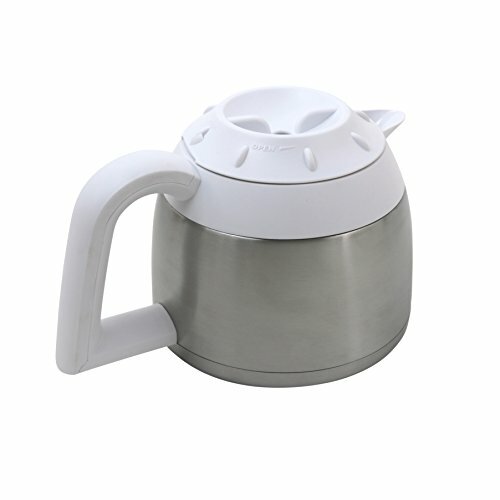 This thermal carafe has a stainless steel base to keep beverages hot for longer periods of time. Durable plastic handle and lids. Screw-on lid - spin Lid to "Pour". Durable white ABS Plastic. Insulated Thermal Carafe. Hand wash only in warm, soapy water. Holds 48 fluid ounces. Double-walled Stainless Steel Base. Quarter-turn lid to pour. Holds 48 Fluid Ounces. Champion Men's Athletic 85653 - 9" inseam. Short featuring logo at left hem and elastic waistband with adjustable internal drawstring. Side pockets for storage. Jersey short with pockets: jersey at it's best - the ultimate in comfort and durability.